Last week, we started off the year with a CLASH as we launched our first Super League Clash Nights events across the nation. 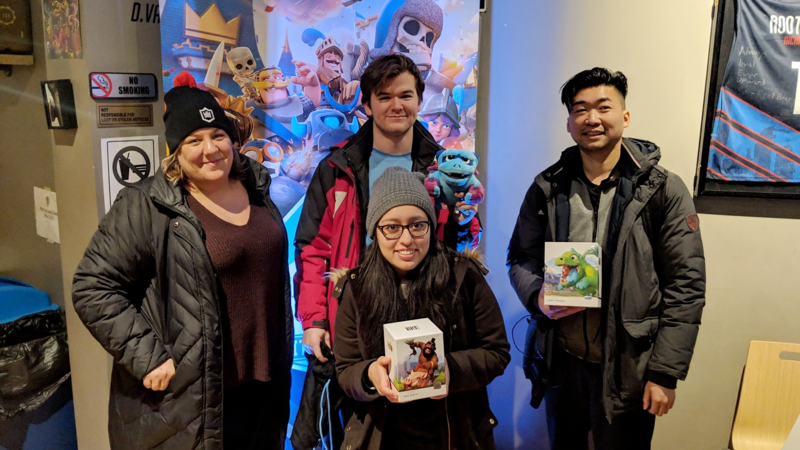 Clash Royale players came out to hone their skills and compete against others in their city for prizes, and you can get a look at what went down on Super League TV below. The finals in the Eastern Division pitted two members of the Jon and George clan against one another. Trainer Diputsッ ended up claiming a 2-0 victory over JonKim, as expected of our #1 player in the King’s Cup of Clash Royale City Champs Season 1. Back in October, Unknōwn⚜️Her0 made himself known at the second ever Super League Clash Nights in Houston. Last week, he took it a step further and dominated the Central Division by going 2-0 against MattuesGamer. The finalists in the Mountain Division were two newcomers to the Super League Clash Royale scene. Continuing the 2-0 trend, Star Light shined brightly in his matches against Nova | Jesus. Venom and maestro found themselves evenly matched as they came to a draw in the first match. The struggle only continued when maestro won the second game in the last minute of overtime, only to have Venom take the third match. However, it would be maestro who would win game four and represent the Pacific Division. We hold Super League Clash Nights monthly in cities across the nation. To get the latest updates on these events, check our our Clash Royale page and follow us on Facebook, Twitter, and Instagram!